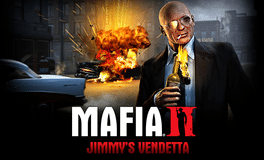 Jimmy’s Vendetta introduces a new character to the world of Mafia II where players see the world through the eyes of Jimmy, a mercenary. Jimmy is the guy the other guys call when they need to finish the job. Players will get their hands dirty helping Jimmy clean up other people’s messes as they deal with the Italian and Irish mobsters that reside in Empire Bay. 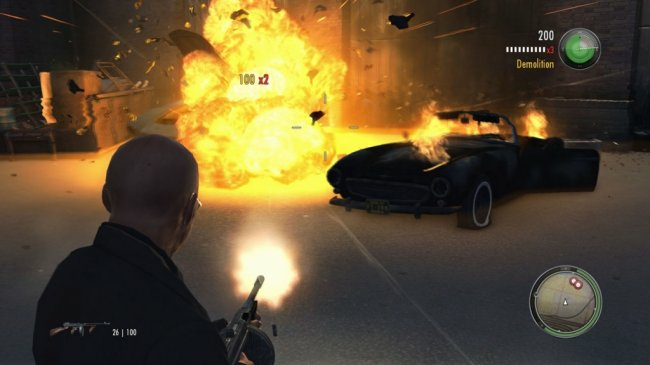 As players progress, dozens of new quests are unlocked, including assassination and timed vehicle pursuits ending in dramatic shootouts and explosive car chases. Execute with deadly head shots or charged explosives, and rack up points for precision-timed vehicular power slides, lofty jumps, and supercharged velocity. Multipliers and combos add bonus points to overall scores that will be immediately posted to the new online leaderboard system, providing extensive re-playability as players work to rise to the top of the ranks. There are far more images available for Mafia II: Jimmy's Vendetta, but these are the ones we felt would be most useful to you. If you have specific requests, please do contact the developer!